this was a commissioned work for trumid, a fintech company based in new york city. 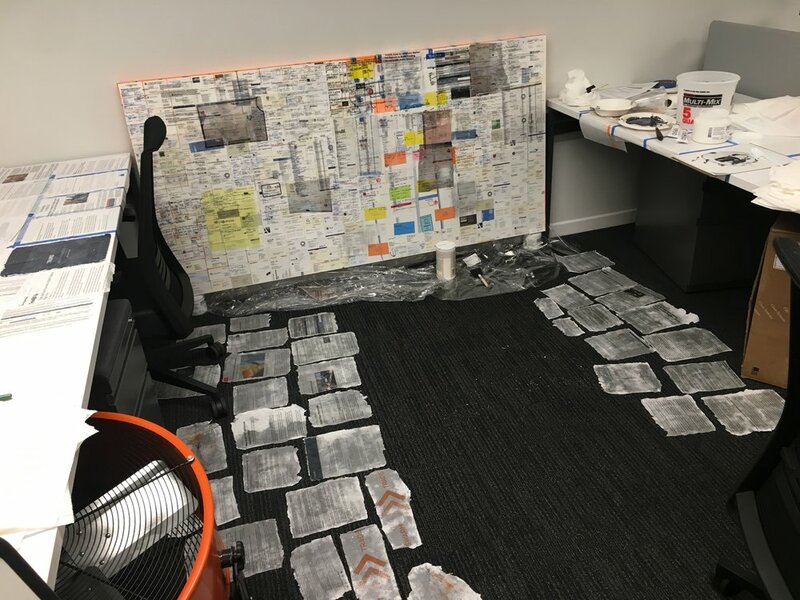 They had saved all of their building passes, business cards and notes as the company was starting up and a year after they were established they asked for a piece to tell their story. 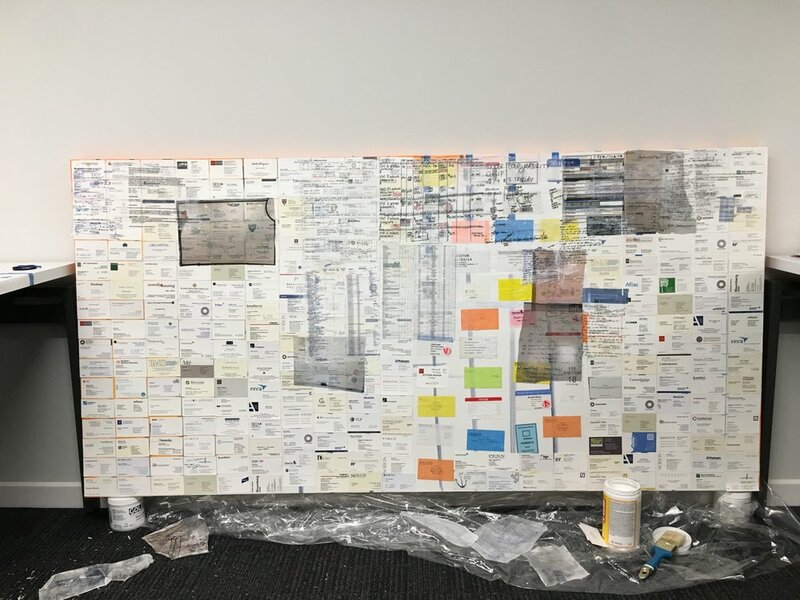 this work is layers of notes, business cards, documents, and articles which have been image transferred into clear individual pieces. Once all the pieces were image transferred, i then created a layout where some headlines and text were legible while others were abstracted by the sheer quantity of text. this piece illustrates the story of how trumid grew.